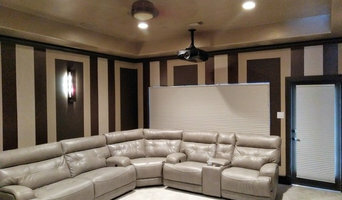 Houston's Custom Designed Home Automation & Media | Best of Houzz! Automated Lifestyles custom designed whole home audio systems are created to blend in with the home’s surroundings in order to minimize visual impact and ensure listening excellence. Use automation to control all the functions in your office or home, and see what is going on at any moment, live! Take complete control of your lifestyle, and make it more creative & efficient. We established our family owned business to provide honest and professional installations for people with different needs and budgets in Houston, TX and the surrounding areas. Rayva environments include AV equipment, design accessories, seating, lighting, acoustic treatments, engineering, room customization detailed documents and design themes by award-winning designers. Collectively, we have over 35 years of combined experience on staff. We can help create any Audio Video or Home Automation technology dream for your home or business space, or make yours come true. Servicing north Houston, west Houston, Montgomery county, and Tomball, at CHEX, we are focused on providing home automation/theater services with the highest levels of customer satisfaction – we will do everything we can to exceed your expectations. With a variety of offerings to choose from, we’re sure you’ll be happy working with us. Look around our website and if you have any comments or questions, please feel free to contact us. We hope to see you again! Check back later for new updates to our website. There’s much more to come! 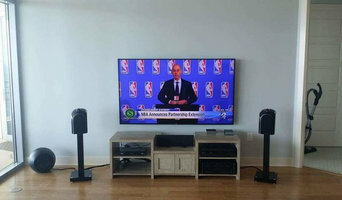 If you're the kind of person who loves hosting parties where guests watch the Oscars, the Super Bowl, or the latest sitcom, putting the time and effort into creating a cozy media room or theater in your Houston, TX home could be a good investment. But unless you're a wiring and surround-sound guru, figuring out the technical issues can get a little messy. That's where a home media designer comes in. Find a home media designer on Houzz. 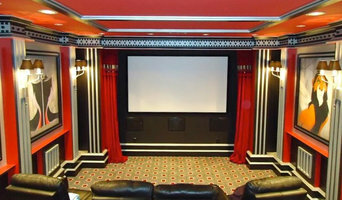 Narrow your search in the Professionals section of the website to Houston, TX home media designers. You can also look through Houston, TX photos by style to find a room you like, then contact the professional who designed it.